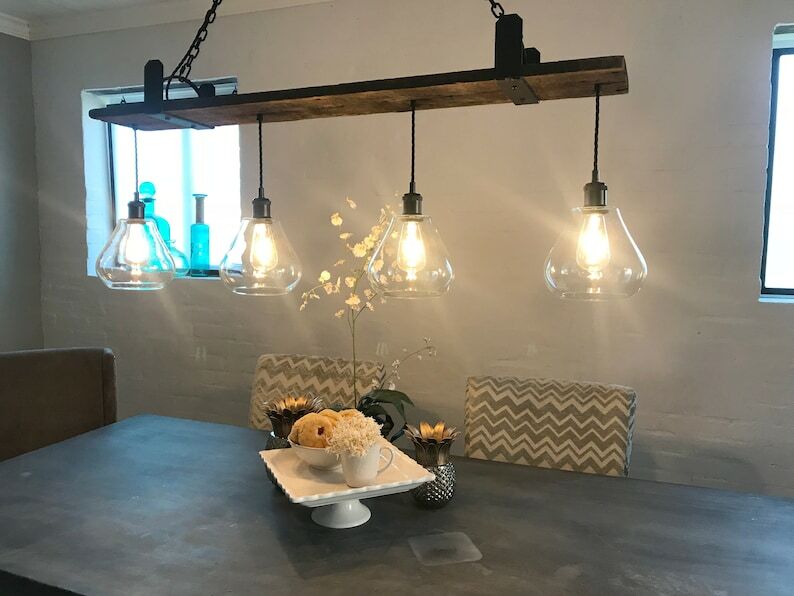 Our 4 hanging pendant barnwood chandelier combines rustic warmth with industrial style. Fixture has 4 pendants each with a clear glass shade and hangs from a barn wood plank. Mounting plate is 5" x 10" thick steel.